An extremely reliable source has confirmed to us that Google is in the process of building stand-alone retail stores in the U.S. and hopes to have the first flagship Google Stores open for the holidays in major metropolitan areas. The mission of the stores is to get new Google Nexus, Chrome, and especially upcoming products into the hands of prospective customers. Google feels right now that many potential customers need to get hands-on experience with its products before they are willing to purchase. Google competitors Apple and Microsoft both have retail outlets where customers can try before they buy. Google’s retail move won’t be an entirely new area, however. Google currently has Chrome Store-within-a-store models in hundreds of Best Buys in the U.S. and 50 PCWorld/Dixon’s in the U.K. 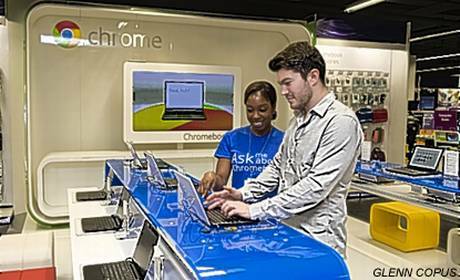 These stores have Google trained employees who demonstrate the value of Chromebooks and can answer the multitude of questions people have before making a purchase. Our source told us the new Google Stores would be a much broader play. The Chrome SIS employees don’t have sales targets, and they are there mostly for educating. Best Buy and Dixen’s also handle product and monetary transactions, not Google. My understanding is that these new stores will operate independently and make direct sales to customers from Google like the Nexus online store does currently. It might also make sense for Google to sell its apparel and other Google-branded merchandise in these stores as well, but that’s speculation on my part. The decision to open stores, I’m told, came when drawing up plans to take the Google Glass to the public. The leadership thought consumers would need to try Google Glass first hand to make a purchase. Without being able to use them first hand, few non-techies would be interested in buying Google’s glasses (which will retail from between $500 to $1,000). 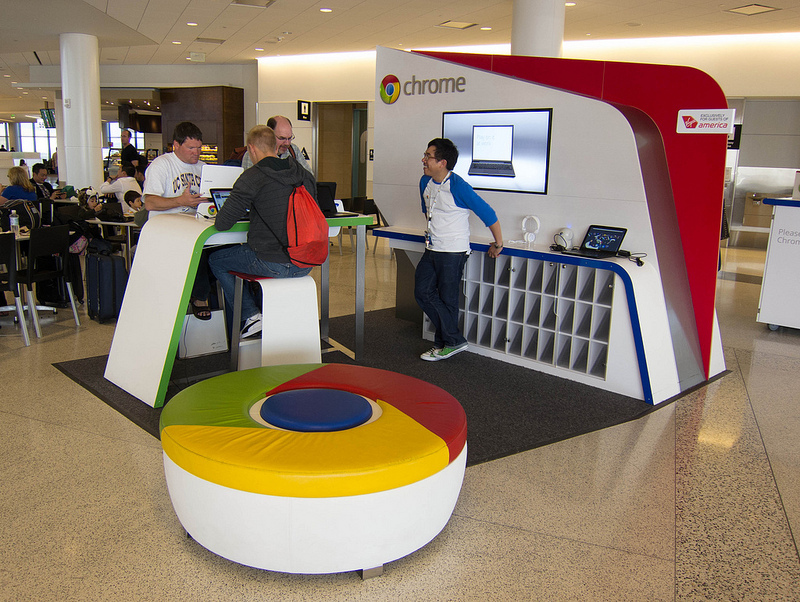 From there, the decision to sell other Google-branded products made sense. Along with Glass, Google will have an opportunity to demonstrate other upcoming and Google X projects like driverless cars and mini-drone delivery systems at its stores. There are small bits of anecdotal evidence that Google is looking into retail. It is hiring folks to develop Point of Sale systems, for instance. We’re told, however, that most of the ramping up of these stores will be done by an outside agency. Apple CEO Tim Cook recently told analysts that Apple Stores were more than just stores—but rather the face of the company. Google may now understand that if it wants to roll out a new product category like Google Glass, it is going to have to dive into retail.